These three classic Eastern Asian works have stood the test of time, having been listen all across the world to this day. The Art of War is an ancient Chinese military treatise authored by military strategist Sun Tzu. The work is comprised of 13 chapters, each chapter is devoted to a distinct aspect of warfare relating to military strategy. 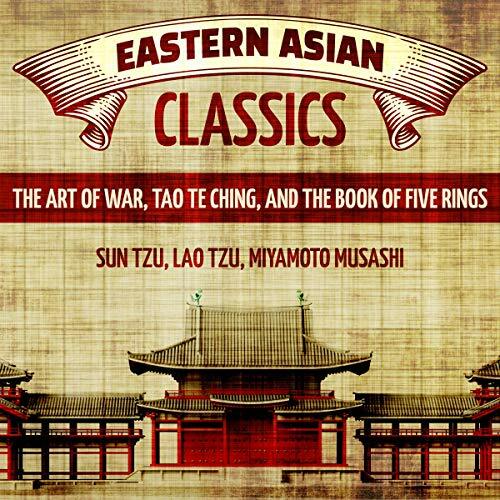 The Art of War has had a profound influence on both Eastern and Western military thinking, business tactics, and strategy. The Tao Te Ching is a fundamental text for both philosophical and religious Taoism. Its influence has spread widely outside East Asia and it is among the most translated works in world literature. The Book of Five Rings is an audiobook on the martial arts in general, written by the Japanese swordsman Miyamoto Musashi around 1645. It enjoys an audience considerably broader than only that of martial artists and people across East Asia: for instance, some foreign business leaders find its discussion of conflict and taking the advantage to be relevant to their work in a business context. I have read all these books before in other translations and interpretations This collection is a sufficient presentation of these classic works, although I recommend reading other renditions in order to gain diverse understanding. The narrator was competent.